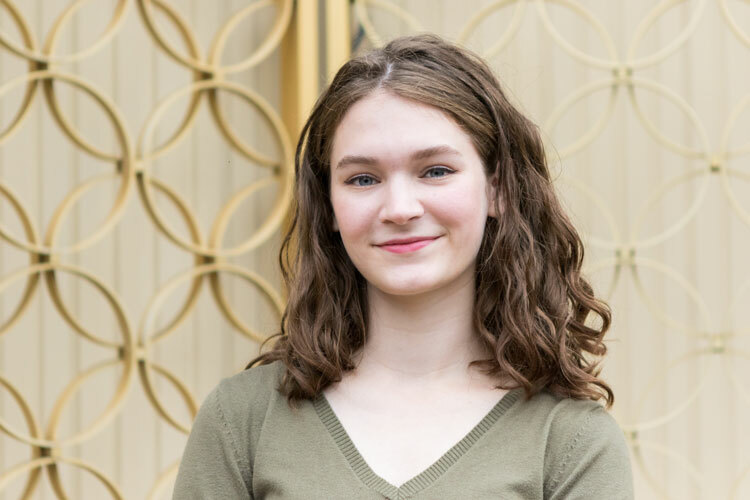 Graphic design major Lauren Cox (class of 2021) was deciding between offers of admission from an East Coast school and a midwestern institution when she received a life-changing phone call from the University of Illinois. Illinois had been her top choice but was not a financially feasible one for her family. "When I received the call from the School of Art and Design about my scholarship, the realization dawned on me that the load on my parents was gone," she said. "The decision was immediate." Her scholarship, established by School of Art and Design alumnus Clyde P. Davis and his wife, Kay, will provide her with four years of tuition support. Since enrolling at Illinois, Lauren has been exploring a variety of mediums. "I particularly like my observational drawing class," she said. "It has helped me to develop a better understanding of the structure of visual objects." After building a strong foundation in design, Lauren hopes to further her education with graduate study in art. Her ultimate goal? To become an animator for Disney. With the support of excellent faculty and the Davis Scholarship, she is well on her way. "Clyde Davis's generosity allowed me to be here, and I am eternally grateful for this incredible opportunity I wouldn't have had otherwise." Clyde P. Davis, who attended the University of Illinois between 1956 and 1960, earned a BFA in advertising design while also working to support his wife and young family. After leaving Illinois, he founded and ran his own advertising agency in New York City, Cline Davis and Mann (CDM), for nearly two decades. Now retired, he and his wife, Kay, have funneled their passion for education into the Clyde Davis Scholarship Fund in Art and Design. Awarded every other year, the scholarship provides four years of full-ride tuition support to an incoming freshman in the School of Art and Design. The impact cannot be overstated: since the fund's inception in 2001, 14 Clyde Davis Scholars have graduated from Illinois debt free.